This is a brand new (not ex-police) pair of TCH model 842 handcuffs, also known as Speedcuffs. Of course NIJ certified for law enforcement use world wide. I am really impressed with these. I have never had a pair of 840 range or in fact any rigid or hinged handcuffs at all until today. I can see why police prefer them. Let me explain. Firstly, as they are rigid, they extremely limit your degree of movement while at the same time allowing a police officer to cause pain to the wrist/arm in case of struggle, even if only one cuff is on the suspect. In the video I only show both hands out front, as you would expect to see someone in chain handcuffs when cuffed to the front. I actually assumed this would be more comfortable than the "stack" arrangement that police use where the handcuffs are vertical and one hand pops out the left and one hand pops out the right. The stack is far more comfortable but was more difficult to show on the video given my setup. These have 3 pawl bars, as expected which makes it a bit more difficult for people to stick things in the keyway and pick them. Also makes shimming slightly harder in that you need a full width shim to ensure you pull down all 3 pawls. A very high quality handcuff, better designed than even my model 800 TCH handcuffs. This is the slightly more expensive TCH model 842 not the common TCH 840 you see all over youtube that police mainly use. 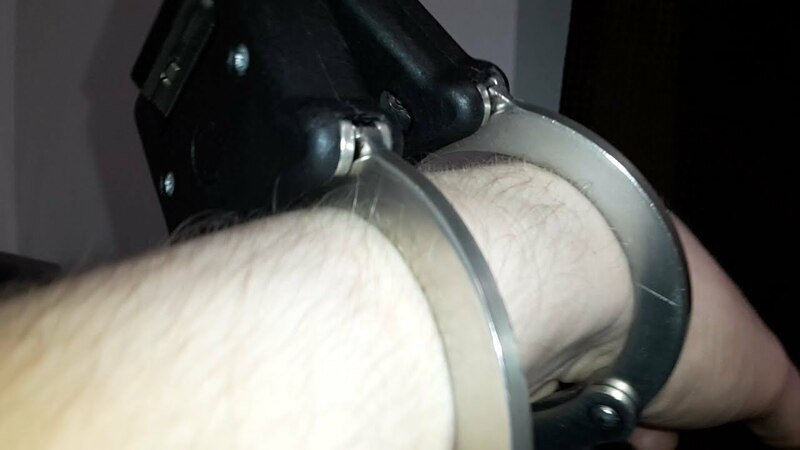 There is one KEY difference which I will leave the video to demonstrate ;) but for all intents and purposes they are the exact same handcuff with one glaring exception that makes these more suited to the average collector, in my opinion as you will see demonstrated in the video.